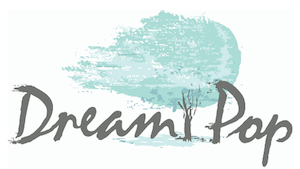 Dream Pop Journal publishes quarterly issues in February, May, August, and November. We are open for year-round submissions and will include the very best pieces we receive between issue release dates. Anything received by the 1st of each of our publication months will be considered for that season's issue, and each issue will be released on the last day of the publication month. So just remember to submit by the 1st and expect the issue to appear at the end of the month. Anything received after the 1st will automatically be considered for the next season's issue. We welcome submissions from marginalized voices, and we are especially interested in publishing work from emerging writers working in experimental, non-narrative forms. Please send us your very best strange utterings, hybrid works, collaborative pieces, visual poetry, collages, and linguistic inventions. We hope that you will challenge the limits of what literature can be and that you will share your results with us. POETRY: Please submit three to five poems (combined maximum of 15 pages) at one time. PROSE (Fiction or Creative Non-Fiction): Please submit up to three prose pieces (combined maximum of 6 pages) to us at one time. We are mainly interested in micro/flash fiction and will not read any submissions that are above the 6-page limit. VISUAL ART: Please submit up to five pieces at one time. We are only interested in previously unpublished work. We accept simultaneous submissions provided that you inform us promptly if your work is accepted elsewhere. We aim to respond to submissions within 30 days, but response times may vary in either direction. Please only submit once per submission period. If your work is accepted for publication, please wait at least a year (or 3 issues later) after the issue release date before submitting to the journal again. So if you were published in the Summer of 2017, we will consider submissions from you again for the Summer 2018 issue. Please send all work in a single attachment. If your work is accepted for publication, we will ask for first publication rights. We also request that you grant us permanent electronic archival rights. All other rights will revert to you post-publication. If your work is reprinted elsewhere in the future, we request that you acknowledge its first appearance in Dream Pop.